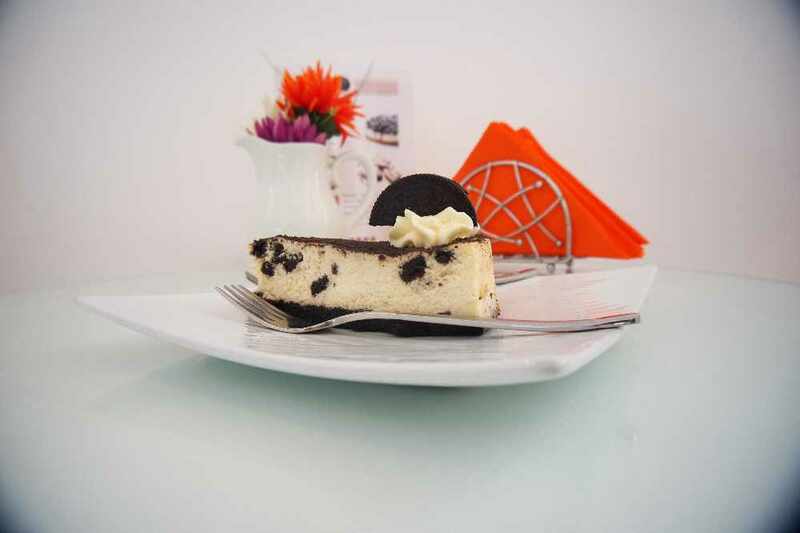 Penny's Cafe located on 18th November Street, Muscat is colourful and bright and the perfect place for either just coffee and cake with friends or perhaps a family Breakfast on the weekend. 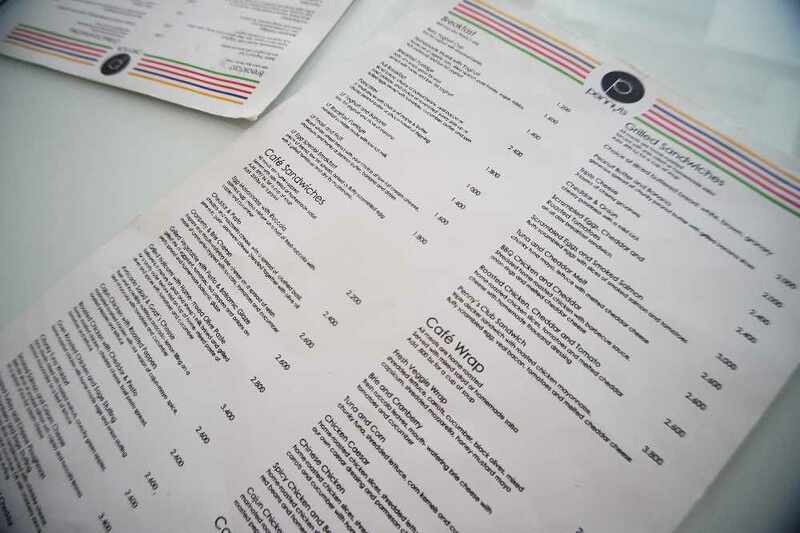 The menu has something for everyone. 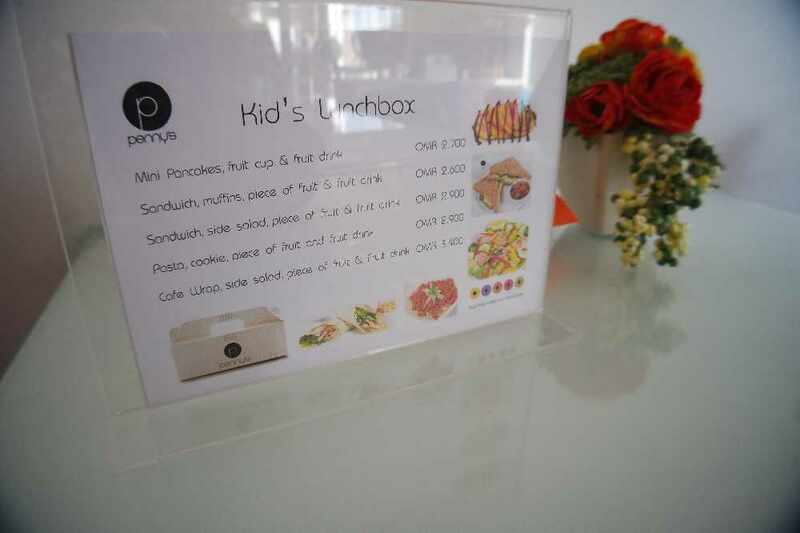 They even have a special "Kid's Lunchbox Menu"
We tried out pancakes and coffee for Breakfast. 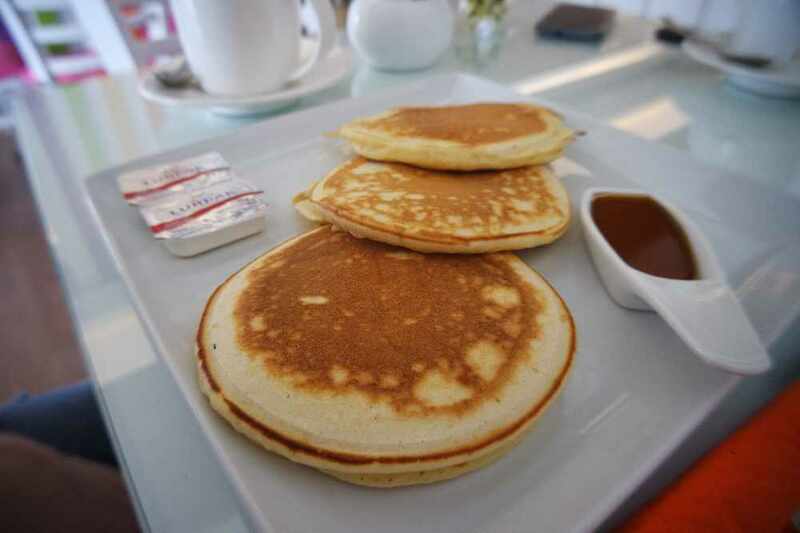 The pancakes were fluffy and light and the coffee was just right! This really was the perfect start to the day! 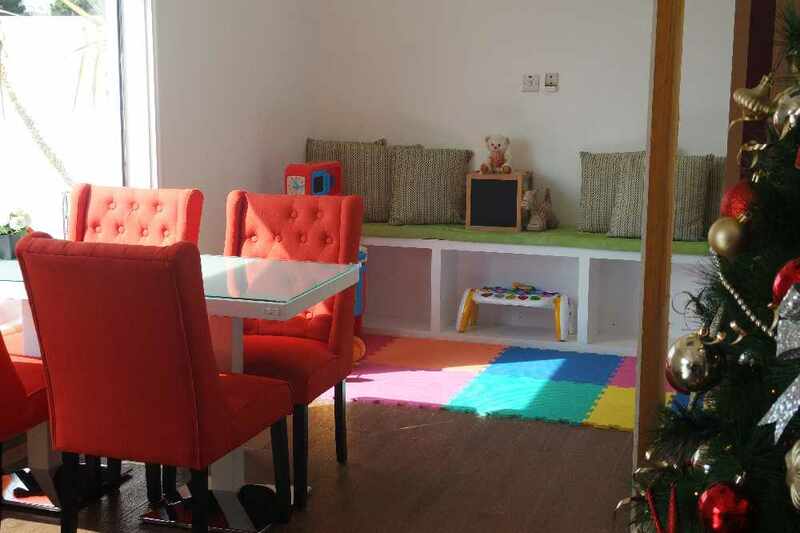 The cafe itself is colourful and bright and they even have a little play area for kids so this makes it a great location for mums and dads who want to meet up for coffee, chat and maybe a slice of cake or two!